Showing our Billiken Pride on Homecoming Weekend! On Saturday, September 24th, I was part of a group of SLU AT students, who also included Stephanie Ross, Collin Peterson and Olivia Robinson, provided athletic training services at the Cheryl Cavallo Hustle for your Health 5K. 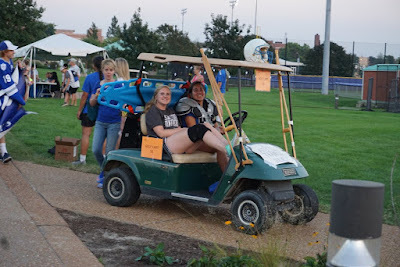 The Physical Therapy department organized the annual race as part of SLU’s Homecoming festivities. 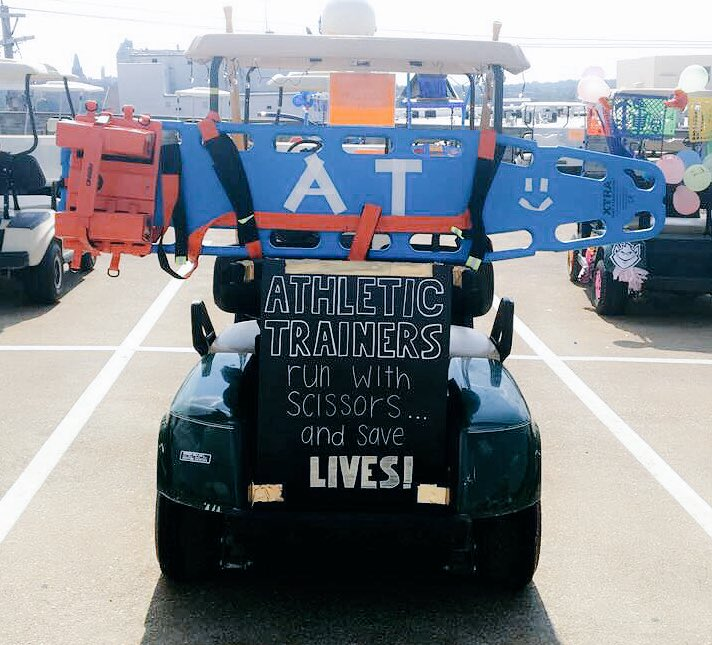 Along with Dr. Breitbach, the athletic training students contributed to this event by following the crowd of racers through the course on a golf cart, ready to pick up or care for anyone that may need assistance. We were also present at the finish line to hand out water and administer first aid as needed. 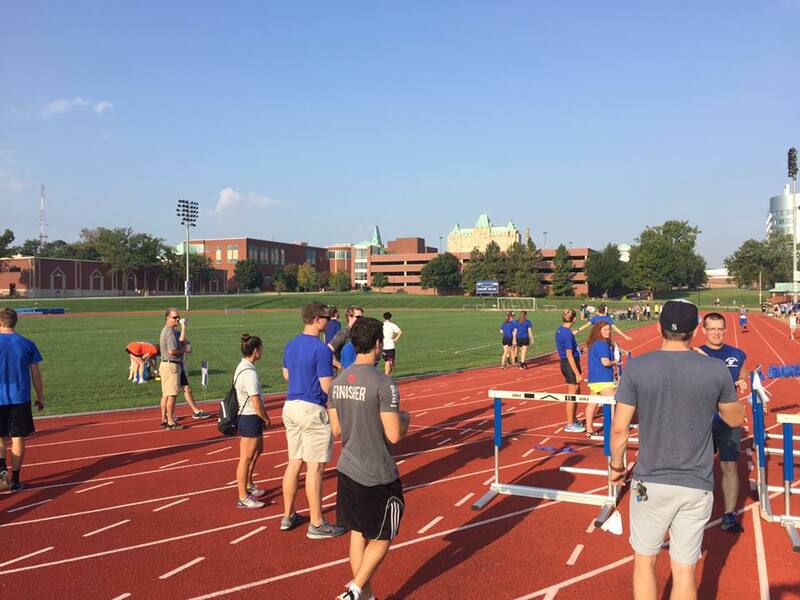 The course led the participants all throughout SLU’s medical campus, and the sunny but mild morning was perfect race weather. 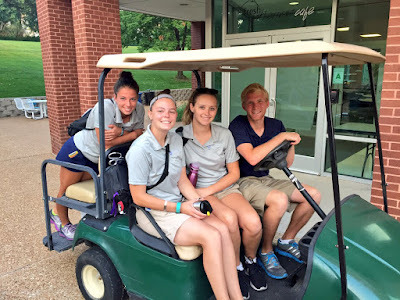 This event also proved to be a great way for a potential SLU student to see what the Athletic Training program is all about, as she got to mingle with us and ask questions, as well as witness us applying our knowledge in a practical setting. After the race there was a pancake breakfast and an open house in the Allied Health Building. 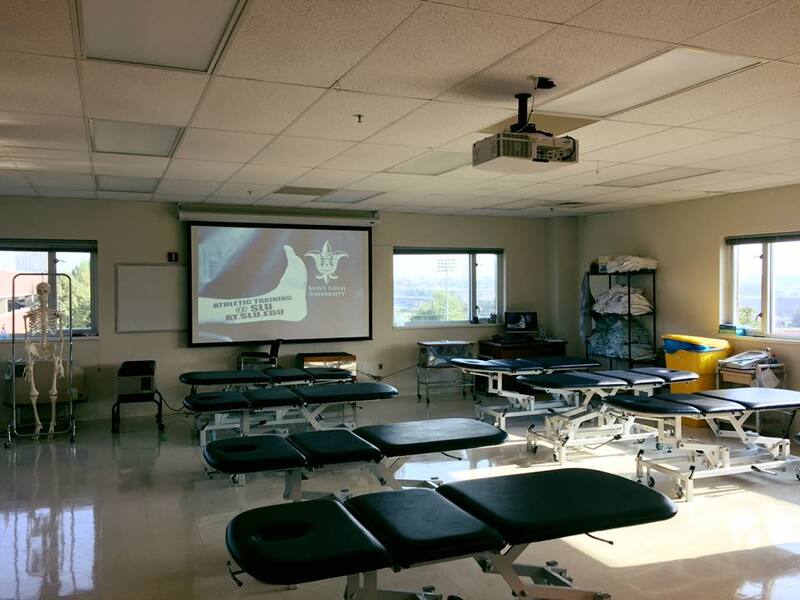 The AT Program hosted our visitors in the Modalities Lab. The Athletic Training program also took part in the Homecoming Float parade that afternoon. Freshman students Kacie Frost and Maddie Bozych stepped up to the task of decorating our cart, and the results turned out great. 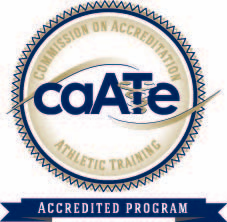 All in all, it was a very successful Homecoming weekend, and I enjoyed being part of it.